What is the Highest Rated Car Battery? Everywhere you look online, you can find ratings on just about everything from caramel corn to car batteries. Can you trust those ratings? Maybe. Unfortunately, there are a lot of people "rating" different products with an ulterior motive- personal profit. They may create a YouTube video or a website or infographic, all with a specific link they're hoping you'll click on to get more information or make a purchase. That link is often tied to an affiliate marketing program. It may not cost you anything to click on that link, but if after clicking on it, you buy a product from specific websites, that person gets a commission on your sale. That's not exactly the most unbiased of sources, although they sometimes generate some sales for OPTIMA batteries, because we are one of the most-popular and well-known brands on the market, making us one of the first targets of these affiliate marketers. So where do you get ratings from real people, who have actually used car batteries you are considering purchasing? Some retail sites allow customers to leave feedback and some of that feedback and/or ratings. However, not all of that feedback is from actual customers, although some retailers will verify if someone actually purchased the battery they are rating. When you read the ratings on OPTIMA batteries, we'd encourage you to look at both the positive and negative reviews, not just on our products, but on other brands you might be considering. It might surprise you that many batteries get very similar positive and negative ratings from consumers- "it works great and lasts a long time" or "it disappointed me so I tried another brand and that one worked great." Those reviews don't necessarily mean one person is lying and another is telling the truth, just that they had different personal experiences. As different as their personal experiences may have been, their applications may have been very different as well. One person might have a relatively-simple vehicle that most batteries would have no trouble lasting far longer than most folks might expect, while another vehicle may go through any battery in less than a year, because it is such a demanding application or the owner simply doesn't maintain their battery properly. You should also consider the volume of reviews and ratings a battery may receive. Would you rather buy a battery that is rated at 9 out of 10 stars by 10 people or 9 out of 10 stars by 1000 people? Some batteries are simply re-branded batteries with a new label and new name, that may be sold under three or four names by as many retailers and may have been a brand that just left you stranded. Fortunately for us, OPTIMA batteries have a distinctive six-pack design and even our all-new H6 battery has a unique look that is unlike anything else on the market. Some magazines will run stories that rate various batteries and we've fielded calls from several magazines over the years, who wanted to run comparison test of OPTIMA batteries versus other brands. However, when they present their testing methodology, our engineers often find flaws in their testing procedures that may skew the results. Lab tests can put batteries through very demanding conditions, but those conditions may not necessarily reflect what every (or any) consumer might see in their daily life. It's great if a battery can be cycled to a 20% state of charge in a -30F lab, but how many times can it show a 60-minute Paw Patrol video in a minivan DVD player for Cody, while Samantha is at soccer and dance practice? Would you rather have a battery that lasts longer in lab conditions or in your real-world conditions, because they might not be the same battery. 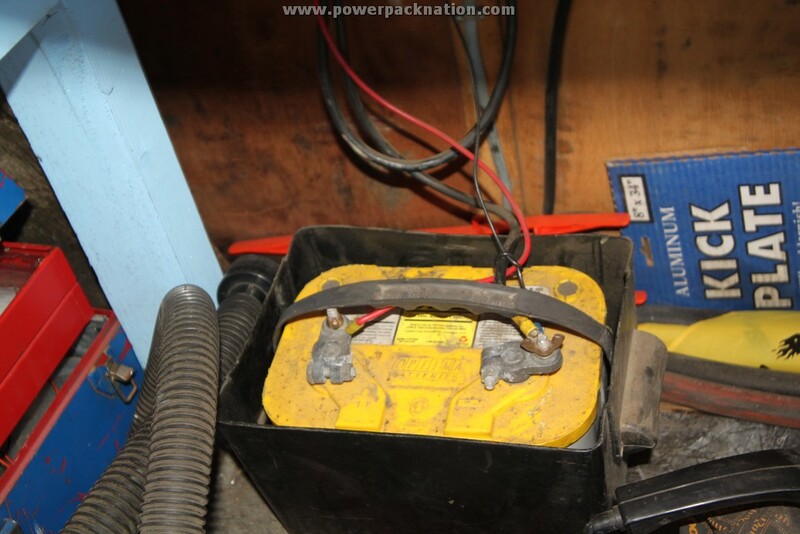 Another magazine might attempt to rate six different batteries' ability to winch a Jeep through a mudpit. Ok, but will the ambient temperature for all six batteries be the same or will the winching start at 7AM when the air is cool and end at 2PM during the hottest part of the day? Will that winch be the same temperature in it's sixth pull as it was in it's first and will it still work as well? When presented with such variables, many magazines and news outlets concede their publishing deadlines simply don't give them the time to perform real-world tests and/or they don't have the resources to eliminate all the variables in their testing, so they do the best they can and leave the reader to decipher if the results have any meaning for them. While every battery manufacturer strives for 100% perfection, no one ever gets to that point. However, we get as close as we can and try to make sure in the rare instances where we don't meet a customer's expectations, that we do everything we can to rectify their situation. If any battery fails because of a manufacturing defect, it is likely to do so very soon after purchase. After the first few months of use (if not the first few weeks), battery lifespan is largely tied to how a battery is used and maintained. Take care of your battery with a quality battery charger or maintainer and it is far more likely to last longer than if you do nothing.